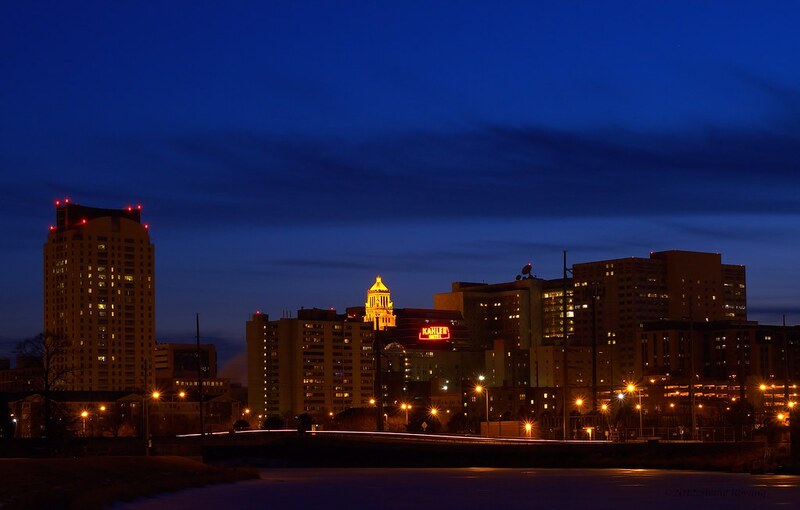 Downtown Rochester, MN, shown here at night, looks particularly classy and almost resembles a small town. Particularly nice is the neon of the Kahler Hotel sign. It's one of the sort of landmarks I remember from growing up in that area of Minnesota.